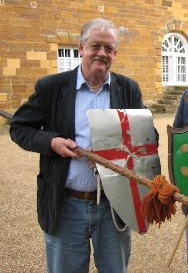 Tory MEP, Roger Helmer, has announced his resignation as an MEP with effect from the end of the year saying that he disagrees with 90% of Tory policies. Sadly he isn't defecting to UKIP which would be the obvious thing for him to do as a Better Off Out signatory but is resigning as an MEP, saying that he was elected as a Conservative MEP and resigning is the "decent, honourable" thing to do. Perhaps he could explain how that works to DCB? Helmer said that he hopes to remain a member of the Tories but not everyone is convinced. Whether he joins UKIP or not remains to be seen but I would pay good money to be a fly on the wall of Camoron's office right now. A defection yesterday, a resignation today and all because he refuses to give us a referendum on our membership of the EU. What a great leader he is.